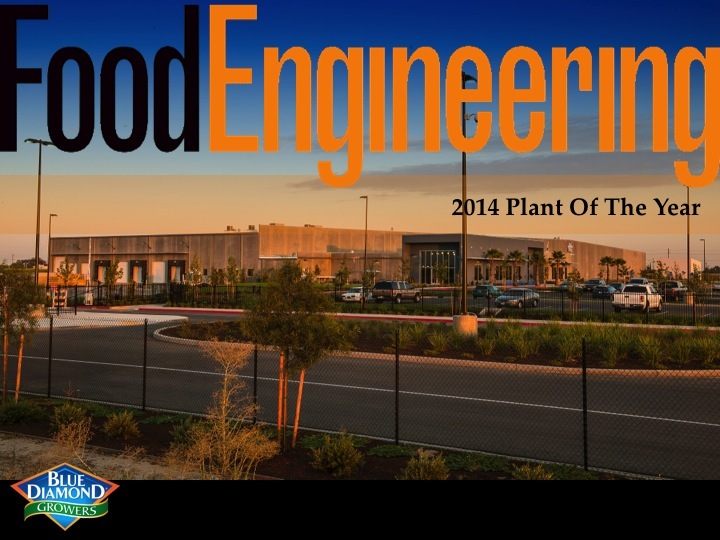 After a banner opening year for Blue Diamond Growers, Food Engineering Magazine named Blue Diamond’s newest plant in Turlock “Plant of the Year” for 2014. The honor annually recognizes the most innovative new food or beverage plant built in North America. Blue Diamond joins a prestigious list of past winners including major food companies like Chobani, Dreyer’s Grand Ice Cream, Pepperidge Farm and Nabisco. Click here to view the feature article in this month’s Food Engineering Magazine.